A beautiful Cliffside resort with hotels and villas hanging right above the sea, making you to forget about everything is called… Firostefani. 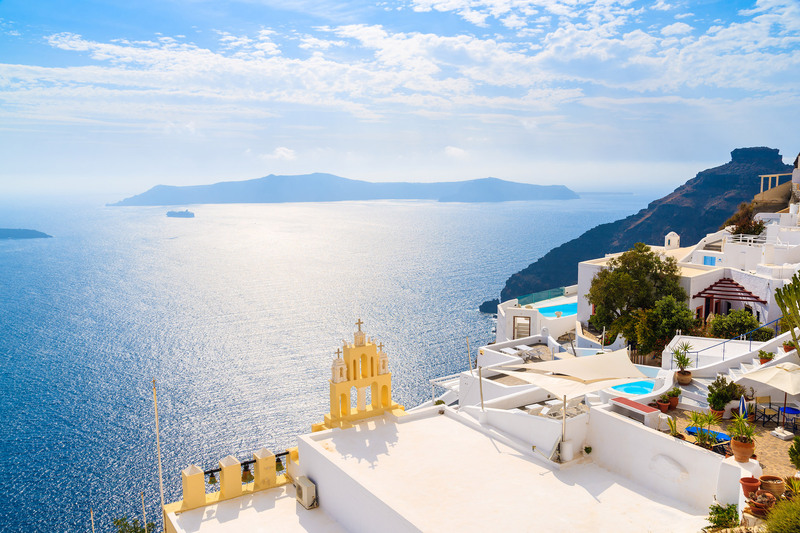 This is a place with one of the famous blue domes and amazing sunsets, right in between Fira and Imerovigli. The name means “the crown of Fira” and it says it all.